Often referred to as one of the hardest woods known to man, Ipe will outlast most all other decking products on the market. It's rich and warm appearance is arguably the most attractive decking that exists. IPE (aka. 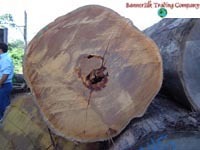 Ironwood) is one of many commercial names used for the the imposing Lapacho group of trees from the various species of Tabebuia.The trees generally grow from 140 to 150 feet, but some can reach heights of 200 feet. 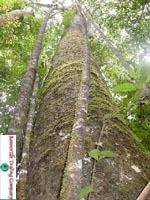 Some other common names for the trees from this group include Bethbara and Lapacho, and a host of names used in the countries where the trees grow. 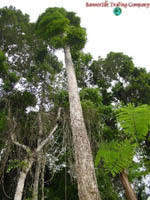 The trees are mostly found in Brazil as well as throughout Central and South America and some of the Lesser Antilles. IPE'S strong, tough resilient properties make it an excellent material and increasingly popular choice for commercial/residential decking and outdoor furniture. It is prized for its stability, durability, strength and natural resistance to decay, wet conditions, and infestation by termites and borers. It is available in long lengths and relatively easy to season. Ipe has a Class A fire rating, the same rating given to concrete and steel. Ipe's heartwood is olive brown to black and usually features striping. The sapwood is much lighter, usually white or yellow. It's extreme density makes it difficult to cut and plane. High quality Carbide tipped blades are recommended when cutting. Pre-drilling is highly recommended when surface fastening to minimize checking. IpeDeckingSource.com imports/distributes Ipe decking and ships worldwide. We DO NOT broker lumber that is drop shipped from another supplier. Unlike other importers, we do not source Ipe Decking from the open market. Our North Brasil office located in Belem, Para ensures the highest quality of lumber grading from only a handful of select mills. In addition, we require our mills to separate by grade at the factory level; a practice unheard of in this industry. Most other importers mix the entire production into one grade called FAS (first and seconds) and FEQ (first European quality) which are inferior to IpeDeckingSource #1 Premium. Our mills follow strict guidelines for sustainable and responsible forestry management governed by IBAMA. Use caution when obtaining quotations from sources that do not publish lumber grade/quality as you could be getting SELECT grade, seconds, or liquidation material. Our Ipe Decking is harvested from the Northern region of Brasil which produces the dark and extremely dense lumber that is sought after in the market. Ipe originating from Mato Grosso and Rondonia states in Brasil tend to be much lighter in colour, less dense, and much wider in color variation. If you're seeking top grade, deep rich coloured, and dense Ipe decking, we're your source.